AMD’s graphics stack from top to bottom is all based on the Graphics Core Next architecture. This is an update from earlier VLIW implementations, offering for scalability from low power all the way up to high performance. 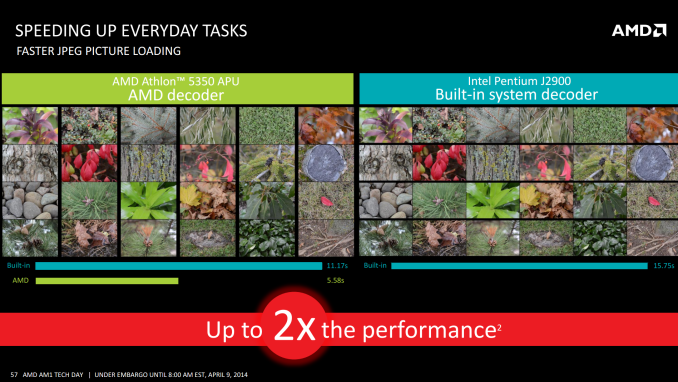 At the heart of an AMD graphics system is the compute unit comprising of 64 GPU cores. Each compute unit can act independently, ensuring that multiple tasks can complete as quickly as possible due to multiple kernel dispatch across the entire core. In the Kaveri APU launch we were dealing with APUs that contained 6 or 8 compute units for 384/512 cores. With this level of performance, gaming at 1080p30 was possible on most titles depending on how the quality settings were configured. For Kabini, the entire range is given two compute units, with individual processors differing in clock speed. 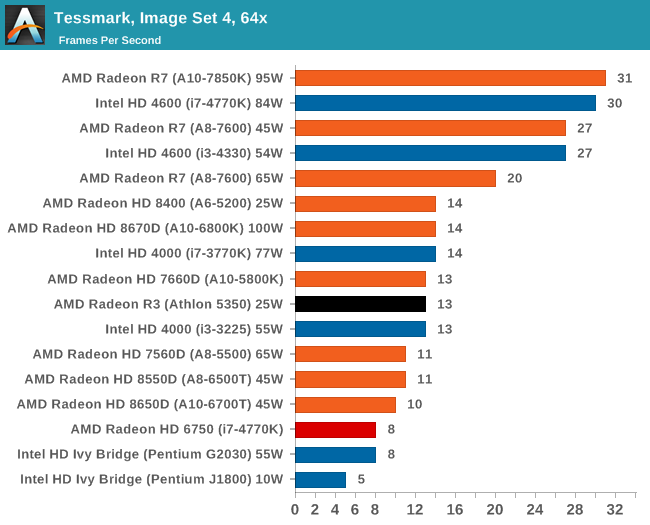 With two compute units, we are not expecting much from the gaming aspect of these APUs in terms of ‘the latest’ titles. Our benchmarks in the next few pages show that even F1 2013 at 1280x1024 on low settings, unless the engine powering the game is basic, 25 FPS minimum is a hopeful target. 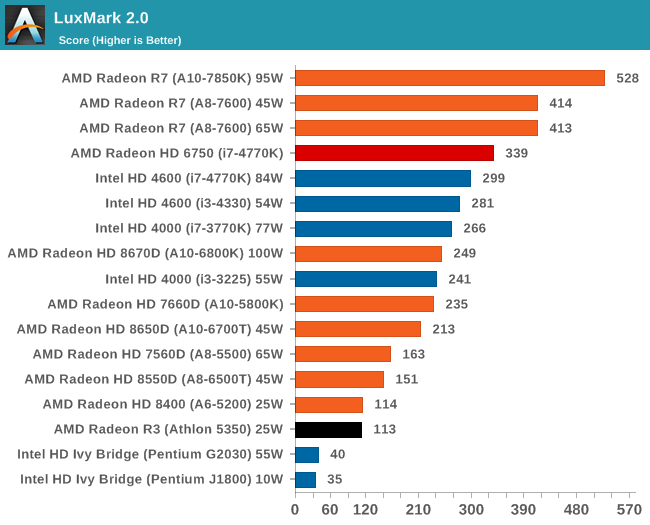 This lack of horsepower may limit these APUs to Flash based titles, perhaps even some of the more reasonable Unity games. 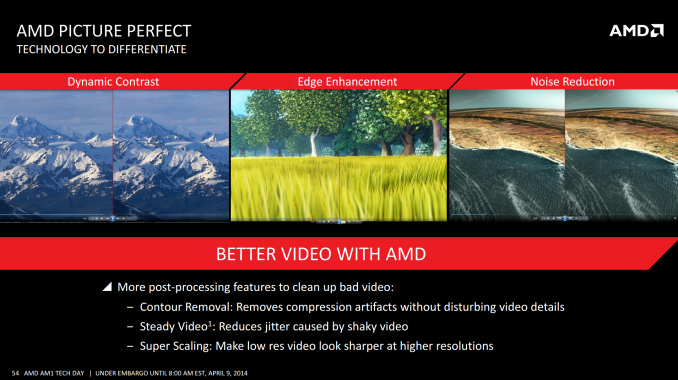 In AMD’s slide deck they quote games such as Minecraft, Lego Marvel Superheroes and Bastion as the sort of titles that a Kabini player should aim for. There is some confusion regarding the naming convention of these integrated graphics solutions. Soldered on Kaveri parts designed for all-in-ones, such as the A6-5200, use the HD8000 naming scheme, such as the HD8400. 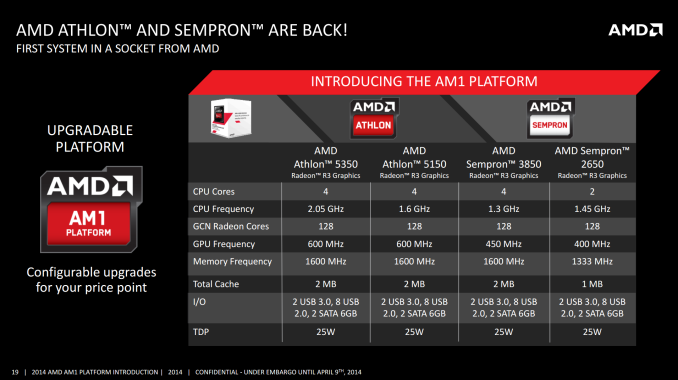 The Athlon 5350 is analogous in design to the A6-5200 except for a 50 MHz speed bump and the name of the IGP – here this is designated as the R3 series. 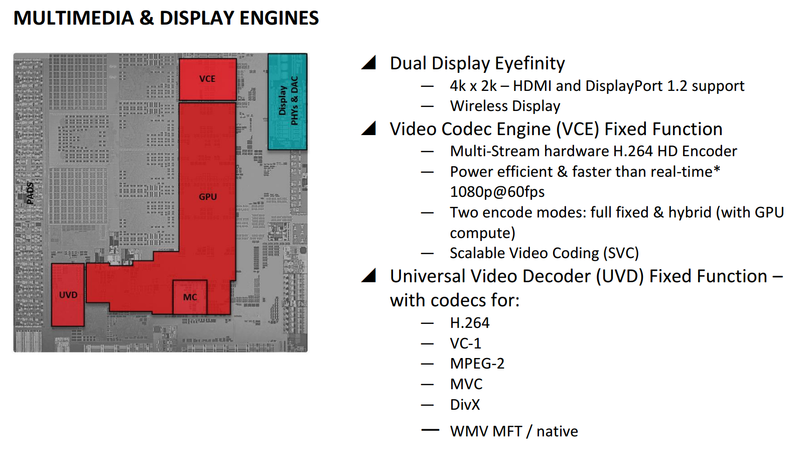 This is despite retailers who are currently selling this APUs and labeling them with the HD8000 designations. Like Kaveri, the integrated graphics solution in Kabini features an updated Video Codec Engine and Unified Video Decoder giving hardware support for H.264. 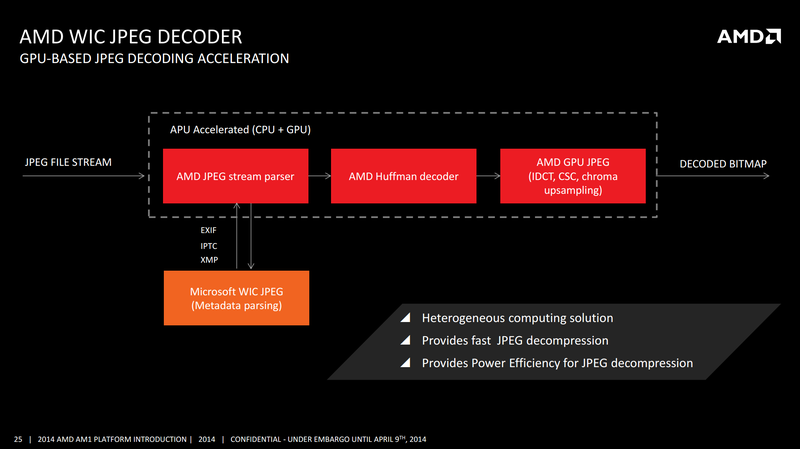 AMD’s secret sauce, according to their slides, appears to be heterogeneous computing. This would be the ideal usage scenario for computing going forward.